Many vehicle owners are unaware that their engine has a timing belt until their vehicle’s road performance is compromised. While the timing belt repair need is not as constant as other vehicle components like tire or brake pad replacements, it is definitely a service that drivers need to be aware of. 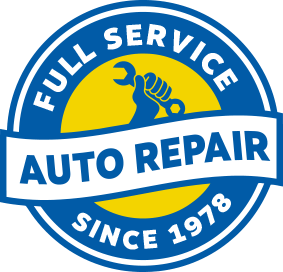 SAF-T Auto Centers in Waterbury, CT provides the quality timing belt services for all makes and models of vehicles. We’ll adhere to the manufacturer’s recommendations as well as your vehicle’s age and your driving habits. They typical range for timing belt repair need is around 60,000 to 100,000 miles. With a team of ASE Certified technicians, we’re able to carefully monitor your timing belt’s condition. We know how your timing belt should perform and sound while on the road. Let us perform quick but thorough maintenance inspections. Whenever we perform our complete timing belt repair services, we make sure to replace the water pump and tensioner pulleys as well. This will protect you from extensive damages and costly repairs in the future. If your engine’s water pump should breakdown after the timing belt has been replaced, the repair will be much more expensive. SAF-T Auto Centers has years of experience handling all timing belt services. Our goal is to keep your engine’s parts operating in sync with each other. The timing belt connects the camshaft to the crankshaft so that the engine’s valves with function properly. Your engine will not start if you neglect the timing belt for too long. Many motorists have come out in the morning only to discover that the timing has broken. You will need a tow to get to our shop after a timing belt break. We want you to avoid this altogether by allowing our team to provide thorough maintenance inspections. Schedule Your Timing Belt Repair With Us! Is it time for your vehicle’s timing belt replacement? Your vehicle’s owner’s manual will let you know the time that the manufacturer expects for you to need a timing belt repair. SAF-T Auto Centers will keep you two steps ahead of any vehicle breakdown by proving timing belt services for your vehicle. Pay attention to any of the early warning signs, like a high-pitched squeal, and we’ll make sure you receive the necessary timing belt service. Timing is everything when it comes to auto repairs, and that goes doubly true for the timing belt. Give us a call today at 203-819-7465 to schedule your first or next timing belt service. Next time you’re in the area with any questions or concerns about your timing belt’s condition, feel free to stop by! We gladly accept all of our walk-in customers.